KLM Royal Dutch Airlines (KL) brings Spencer along to help passengers at its main hub in Amsterdam Airport Schiphol (AMS). This first test phase did not have actual passenger interactions. The airline is scheduling the next round of testing in March 2016 with the goal to have selective functions available to passengers. 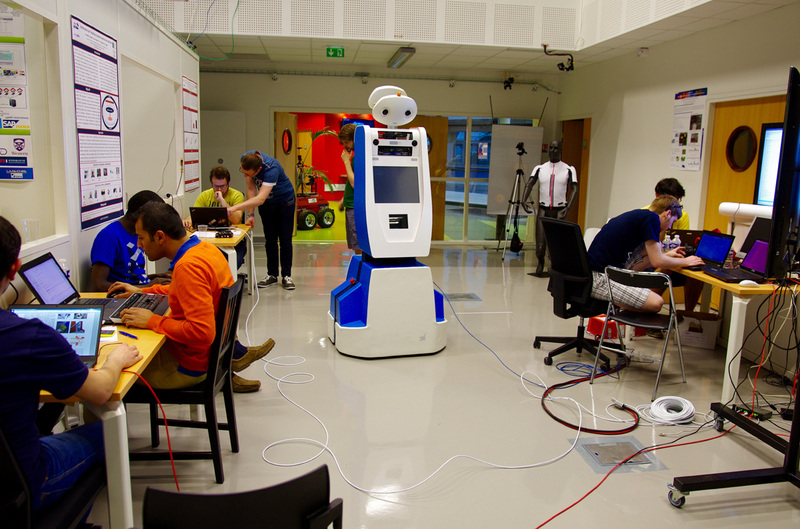 The robotic project is supported by the European Commission and takes a bold step into face/shape and emotions recognition. In the future, it is expected that Spencer will be able to manage unexpected situations relating to delays that occur at Amsterdam Airport Schiphol. The partnership between KLM and Amsterdam Airport Schiphol resulted in many innovations over the years. The airline/airport are one of the first in the industry to implement beacon technology and imbedded better wayfinding functions within KLM’s mobile application (Insight). Spencer is the next step in improving the passenger experience by proactively managing challenges resulted from delays, transfers and wayfinding. obstacles. This might potentially reduce lineup times and agents can be trained to handle more complex passenger needs. 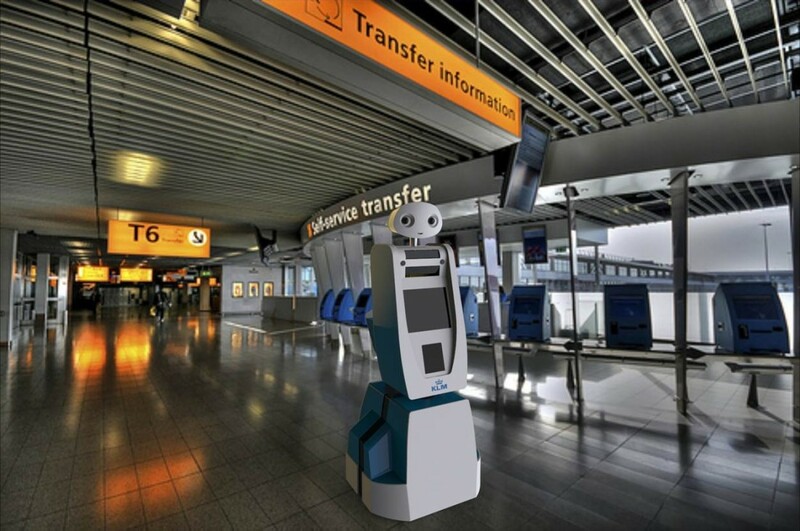 Additionally, airline and airport can collect data on the ways the robot interacts with passengers to better improve overall space design and flow (e.g. if Spencer spent more time assisting passengers in locating a particular gate, the airport can improve signage). 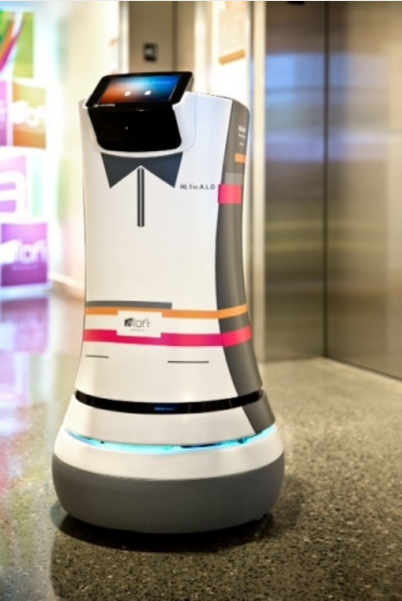 While there would be some novelty when Spencer is introduced for additional testing, robots have been playing a bigger role in assisting travellers since 2014 when Starwood rolled out Botlr at Aloft Cupertino. How do you like robots as customer service representative?